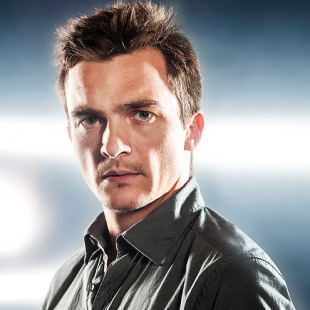 Homeland actor Rupert Friend will star as Agent 47 in the sequel to 2007's Hitman. Hitman the movie wasn't the best adaptation of a videogame that the film world has ever produced. In fact, pretty much the only detail it got right was shaving Timothy Olyphant's head and drawing a bar code on the back of his neck. That said, while critics and fans hated it, it made $92 million dollars so it will be receiving a sequel. Granted, it's probably wrong to judge a film that we haven't seen and, more so, one that hasn't even been made yet. That said, it's just a little frustrating to see a concept that should have been easy (sneaky assassin kills people in creative ways) and have it ground down into something that just barely resembles its source on the most shallow surface level. Still, you never know, maybe the second film will correct its course and be the movie the first one wasn't.